Kansas forward Dedric Lawson (1) and Kansas guard Lagerald Vick (24) stuff a shot attempt from Oklahoma guard Christian James (0) during the first second, Wednesday, Jan. 2, 2019 at Allen Fieldhouse. 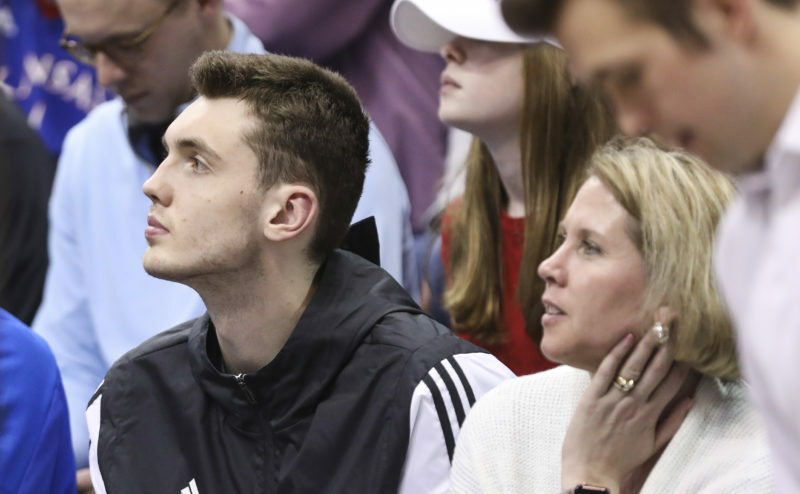 While so much of the focus in the aftermath of Udoka Azubuike’s season-ending wrist injury has been on how the 7th-ranked Kansas basketball team will survive without its most dominant offensive player, the answer to the question might actually be found on the other end. Sure, the Jayhawks will need to figure out a way to score some points — particularly the easy baskets that Dok was known for getting — but the better path to success for this KU team — which, oh, by the way, is still ranked in the Top 10 — might be through its defense. 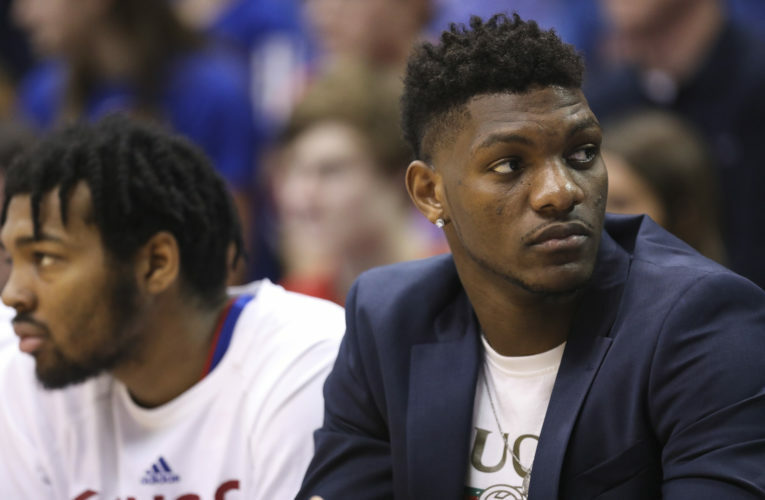 Losing Azubuike will leave a void on the defensive end, as well, with the Jayhawks struggling to fill the massive void he leaves in the lane as one of the biggest presences in all of college basketball. Azubuike wasn’t even that great of a shot blocker, but just seeing his 7-foot, 270-pound frame camped out close to the basket often made opponents think twice about attacking the rim. Freshman David McCormack, who stands 6-10, 250, and junior Mitch Lightfoot, who, at 6-9, 220 is the team’s best shot blocker, will be able to help in that area. But the increased focus on defense should and likely will extend beyond the paint. Marcus Garrett and Devon Dotson are terrific and tenacious defenders. Lagerald Vick and Quentin Grimes have the size and athletic ability to be as good as they want to be. 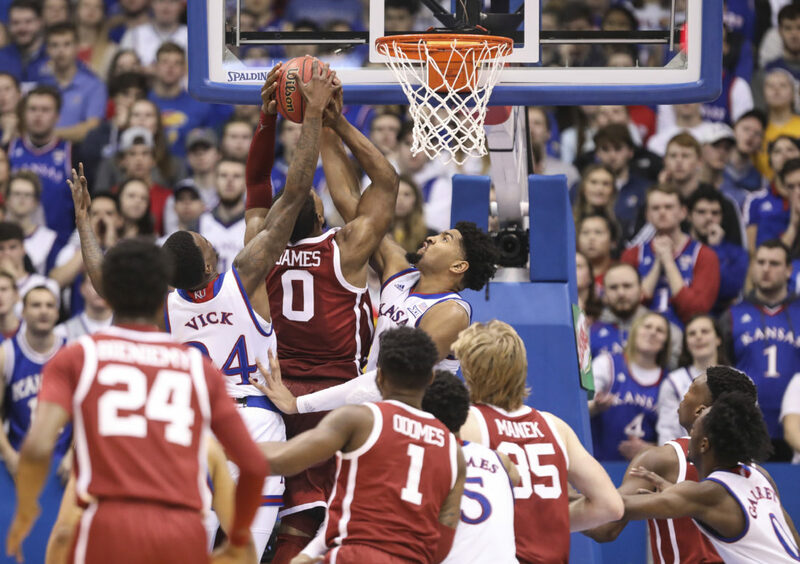 And the Jayhawks, even beyond those six players, still have a few other bodies that can provide the necessary depth to allow KU’s front-line players to go nuts on the defensive end. I sort of picture this becoming like those old, dominant Nebraska Cornhusker football teams that had those stout defenses known as the Black Shirts. 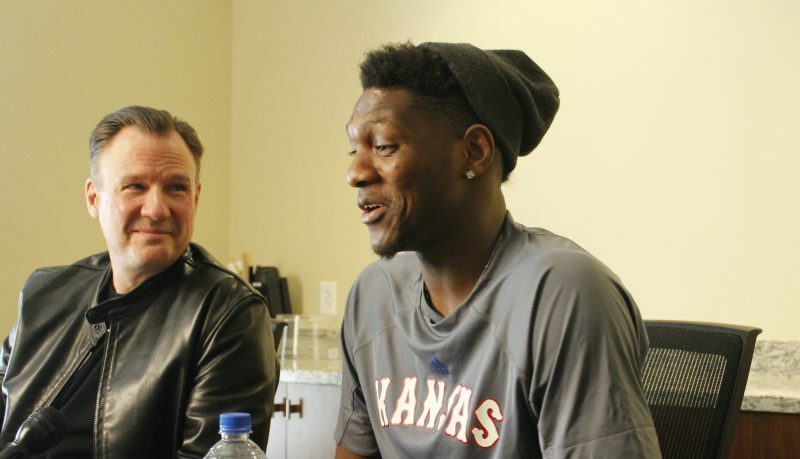 The Kansas basketball program won’t hold anybody scoreless, of course. But that can be the sole goal on each possession. While this shift, should it happen, might take some getting used to for the players, it’s right in Self’s wheelhouse. Think about it. 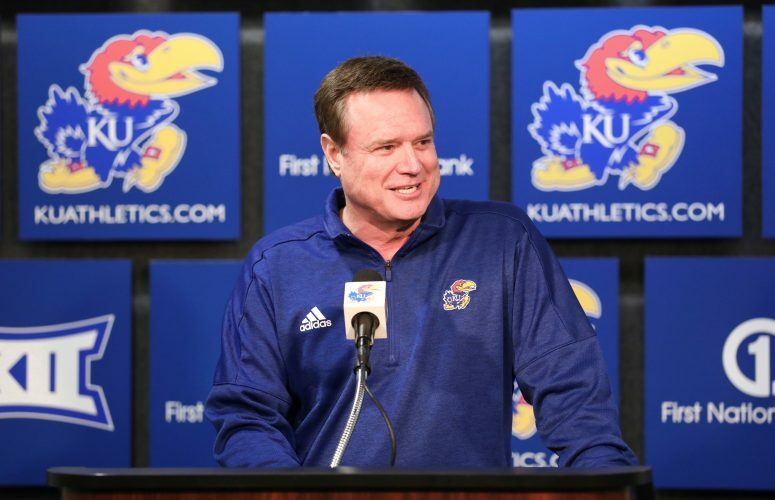 What, other than toughness, have you heard Self talk most about during his 16 years at Kansas? 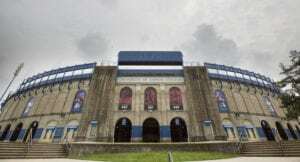 It’s all defense all the time for the KU coach, who constantly scours postgame box scores and pregame stat sheets to see how his teams stacked up on the defensive end. Forcing an opponent to shoot less than 40 percent in a game from the floor gets Self going way more than watching his own team hit 50 percent or better from 3-point range. And steals, deflections and hustle plays that lead to easy buckets in transition are the things that send Self’s fist-pumps flying, way more than any uncontested, two-handed monster jam. Expect that mentality to be pulled, ever so gently, out of his players moving forward, with extra emphasis in practice, entire scouting reports built upon it and constant reminders in the huddle of that old reliable sports phrase that has served so many teams well in the past — defense wins. 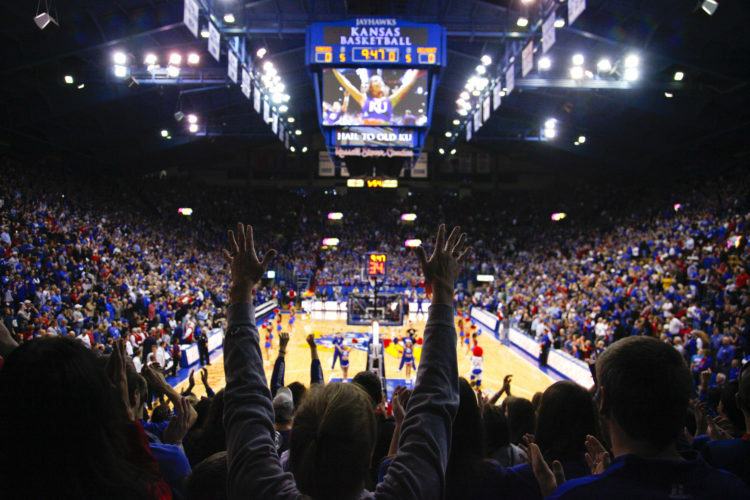 For the past few seasons, Kansas has challenged that notion by riding the hot-shooting hand of half a dozen different players to three consecutive Elite Eights and one trip to the Final Four. This team is not those teams and a new batch of sharpshooters is not walking through that door any time soon. So the Jayhawks have to change. And they have to adjust. And they have to lock in and focus on executing, all the way down to the smallest detail, exactly what the coaching staff asks them to do. Can they do it? Sure. It won’t be easy and there will be lapses, but this lineup is more than capable. Will they do it? You’re not alone if you’re sitting there wondering that right now.